RV Tire Safety: Why are “bad tires” on the road? After reading several forums about tires and researching various resources on the web, it changed my opinion 180 degrees about the so called China bombs. 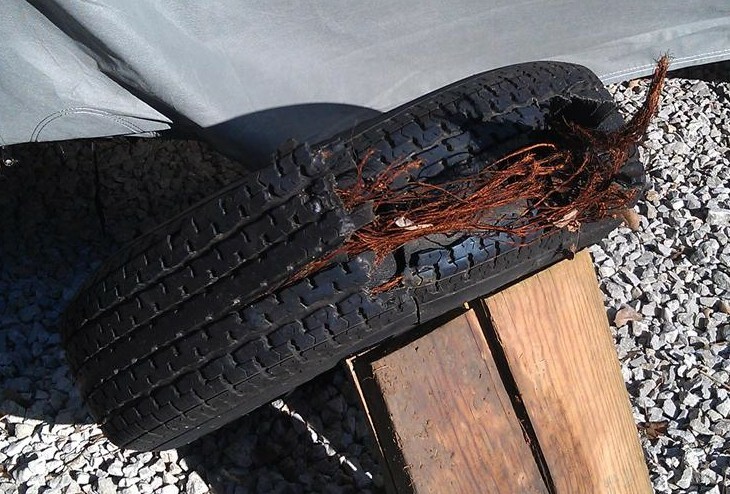 I'm now convinced that the RV forum mentioned tire failures has a lot more to do with lack of proper tire care. Some of the key ingredients to premature tire failure are overloading, under inflation, age of tires and irregular tread wear. Anyone not routinely inspecting their vehicle’s tires is to blame for premature tire failure. Although I couldn’t prove it, I suspect very few failures were actually from a tire defect. There are some good websites, including ours, that provide the information that RV owners need to know. Sadly, there are so many RV forums that will not let their members know about us. I love this in the fact that people are people...they will complain but never give enough information to allow others to help. I worked for IBM over 20+ years in the service area and this trait with how people complain has always fascinated me. I wish you luck in getting the right information to analysis if China or for that matter any other manufacturer has produced "bad" tires. I held a job for several years taking "difficult and technical" phone calls. Regardless of education, location, or anything else, the people whose problems were difficult and/or technical had failed to read and follow instructions. I appreciate the effort you have put into your research; I'll take your word for it. I am specifically speaking to tires on 5th wheels and travel trailers. I have not suffered a blowout yet, but I chose to replace my new China Bombs before I hit the road. My problem with "the human error" idea is, there should be a proportionally equal number of failures reported with the major tire manufacturers on these units as well. This simply does not seem to be the case. Most people purchase good quality tires after suffering catastrophic damage and the problem is resolved. They enjoy many mile of trouble free service. I believe there is a proportional number of failures from others. The issue is that my information indicates that well over 90% of OE tires on 5vers are made in China and the size and load range only meet the absolute minimum capacity so logically 90% of failures would be on tires made in China. This would be much like saying Goodyear makes bad tires because 99% of the tire failures on Corvettes are Goodyears, which ignores the fact that 100% of OE tires are Goodyear. Most who buy "good quality" tires also upgrade size, load or speed capability and if they really care it might be that after making the investment they no longer are part of the 57% of 5ver owners with an overloaded tire.